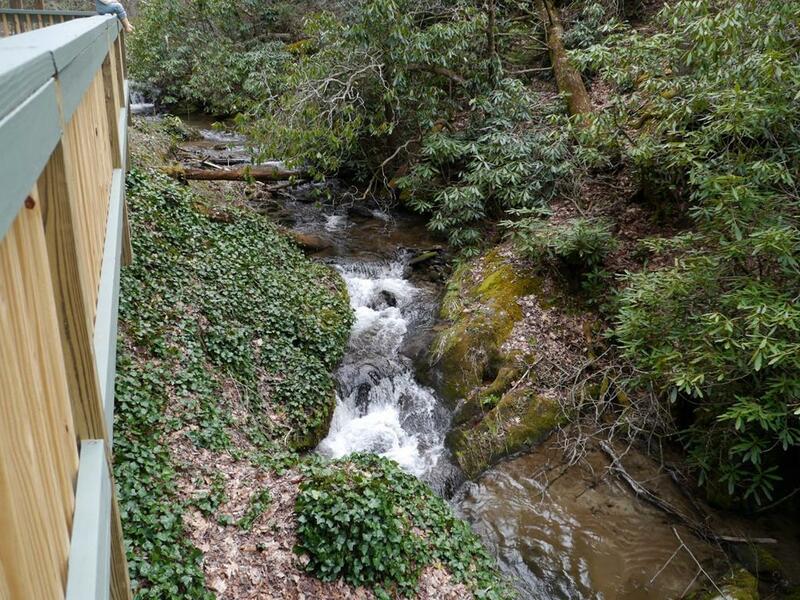 WATERFALL ALERT! 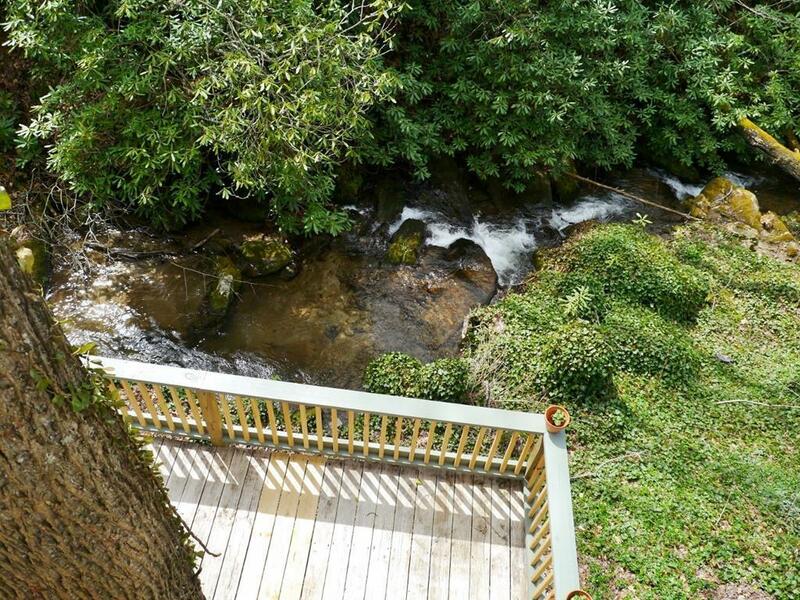 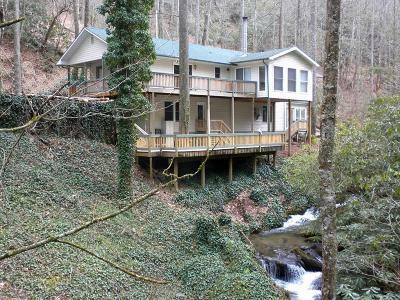 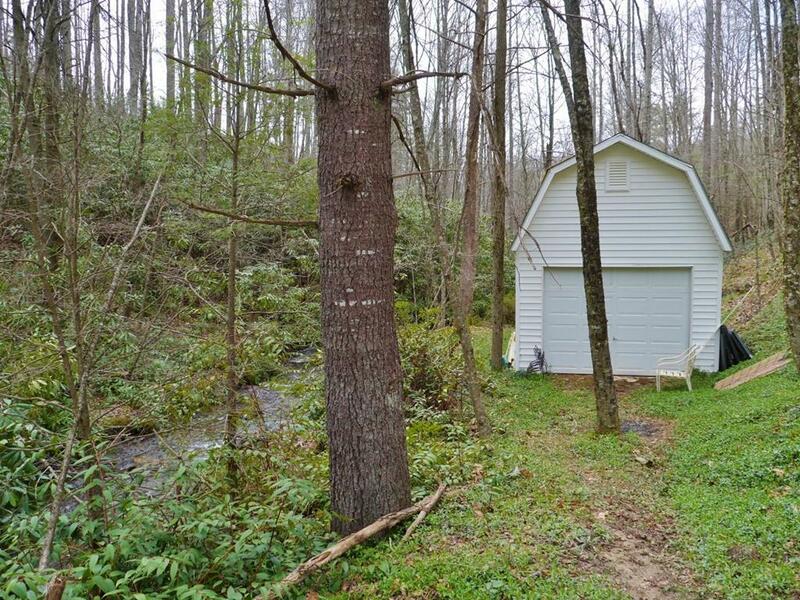 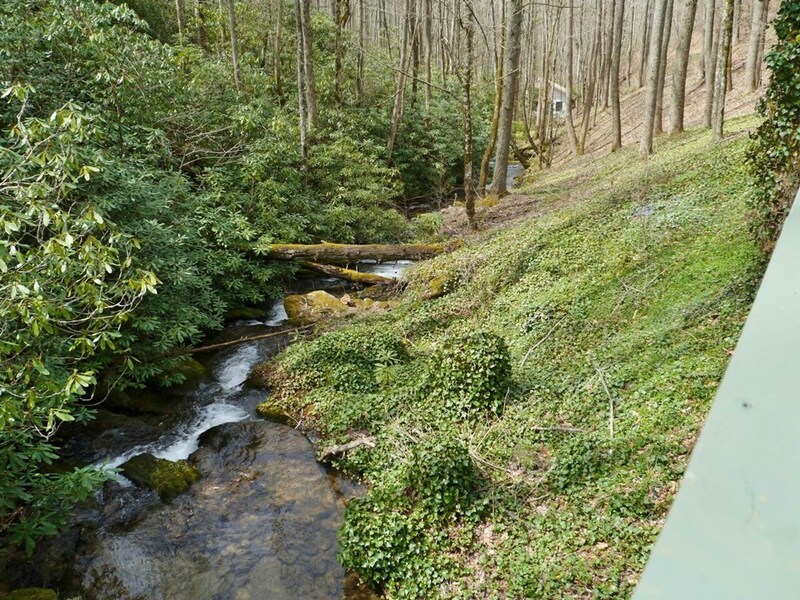 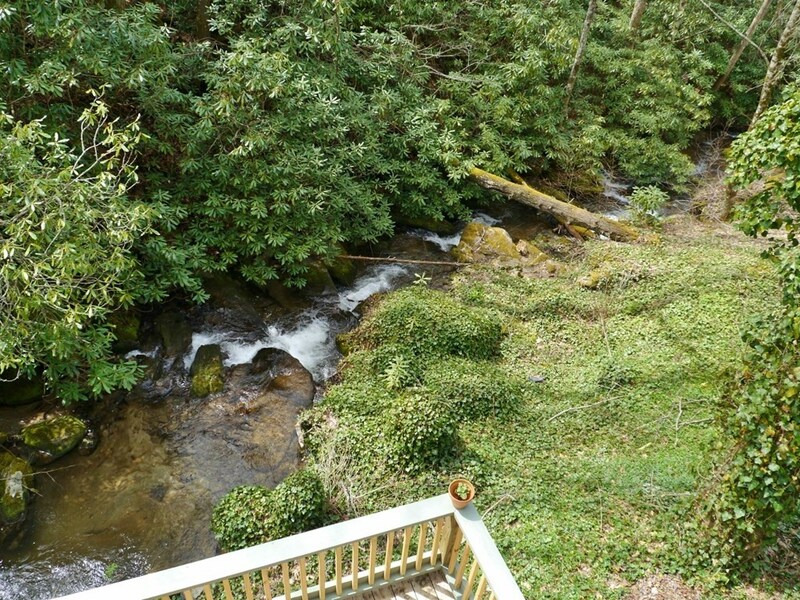 Private mountain retreat on 10 ACRES featuring a stunning loud creek with cascading waterfalls right off immense covered & uncovered decking. 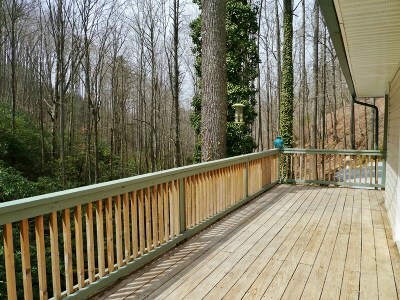 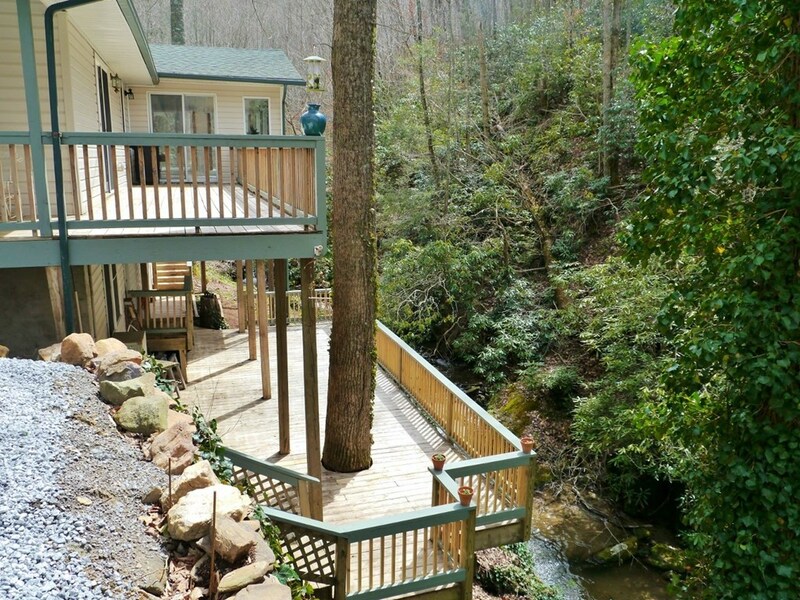 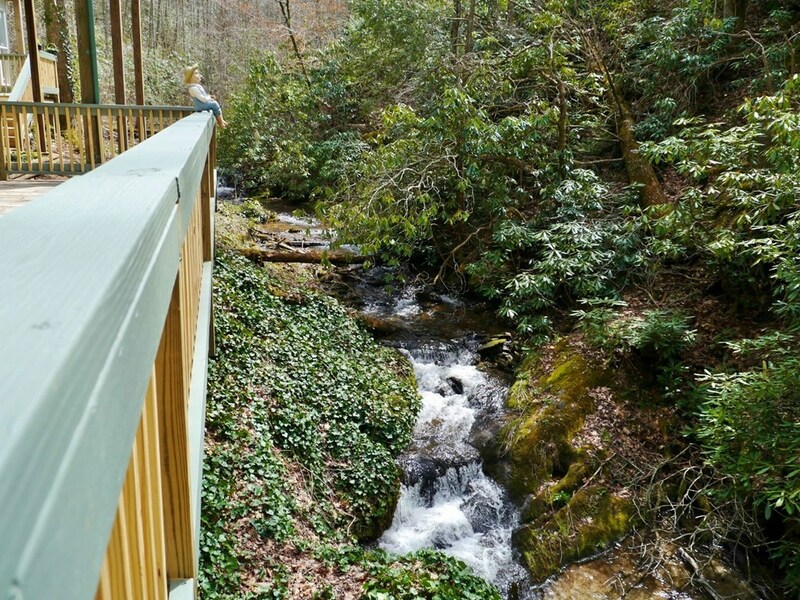 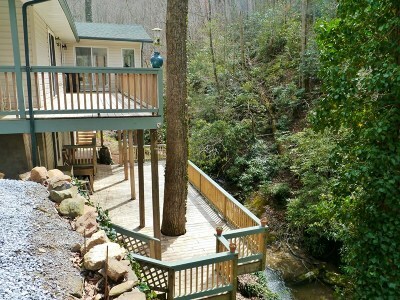 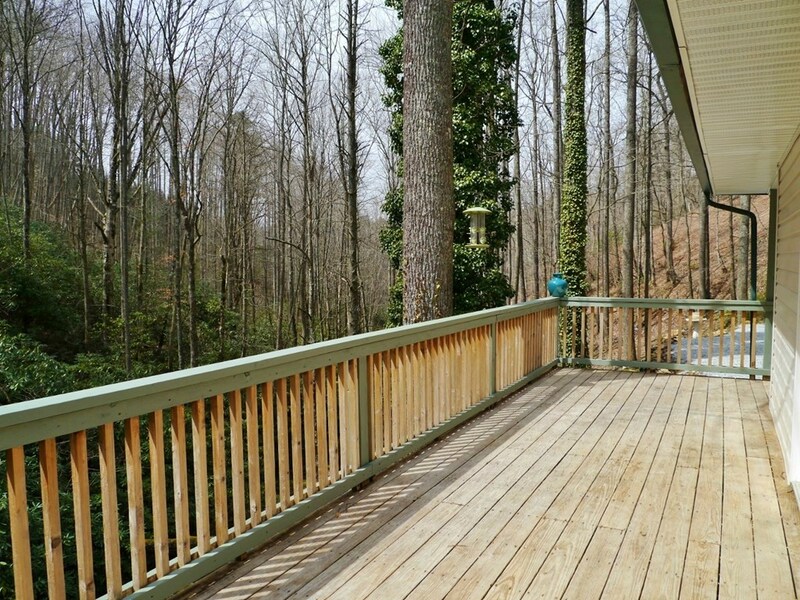 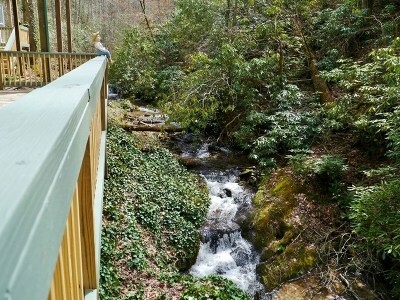 Fish for native speckled & rainbow trout right from the deck! 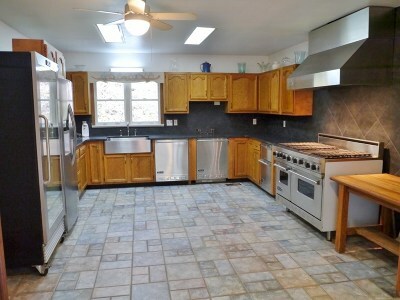 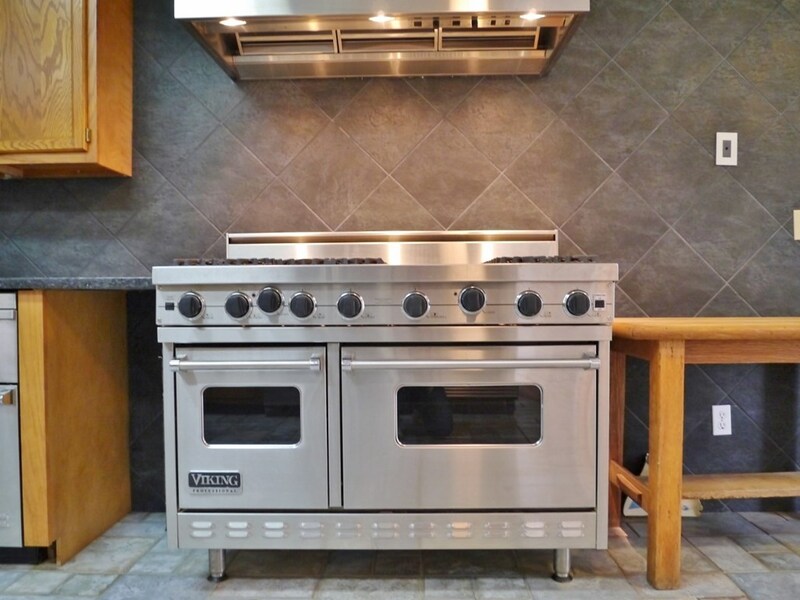 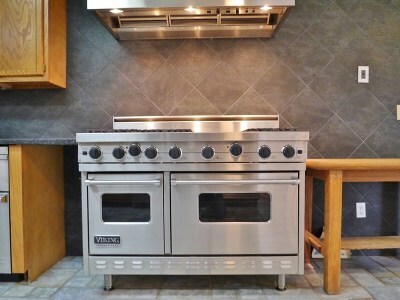 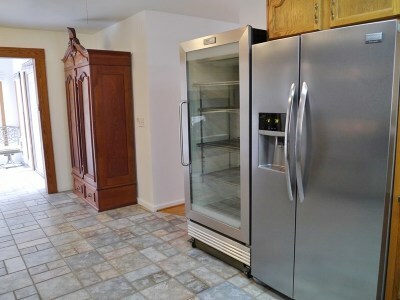 An entertainer�s dream kitchen w/Viking 6-burner range + grill inset, matching hood, commercial refrigerator, dual dishwashers, trash compactor & SS farm sink w/granite counters. 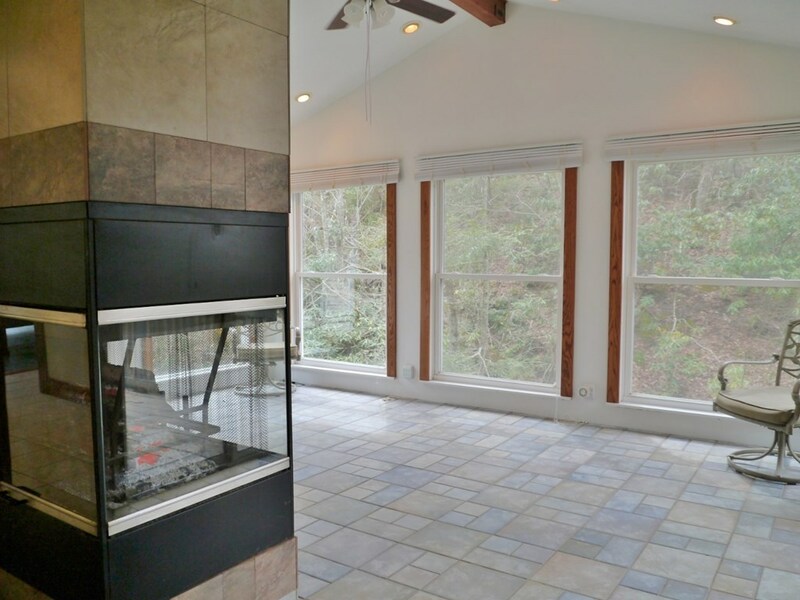 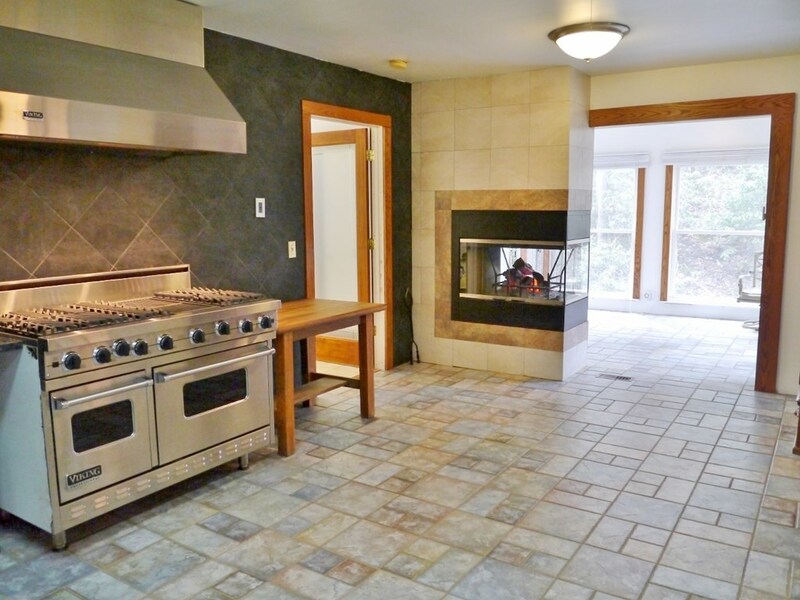 Chic glass fireplace warms both the kitchen & sunroom. 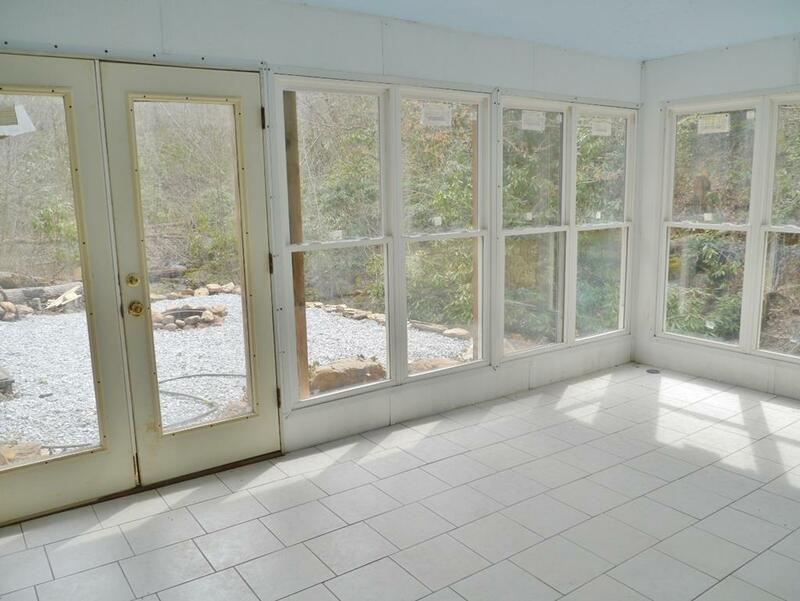 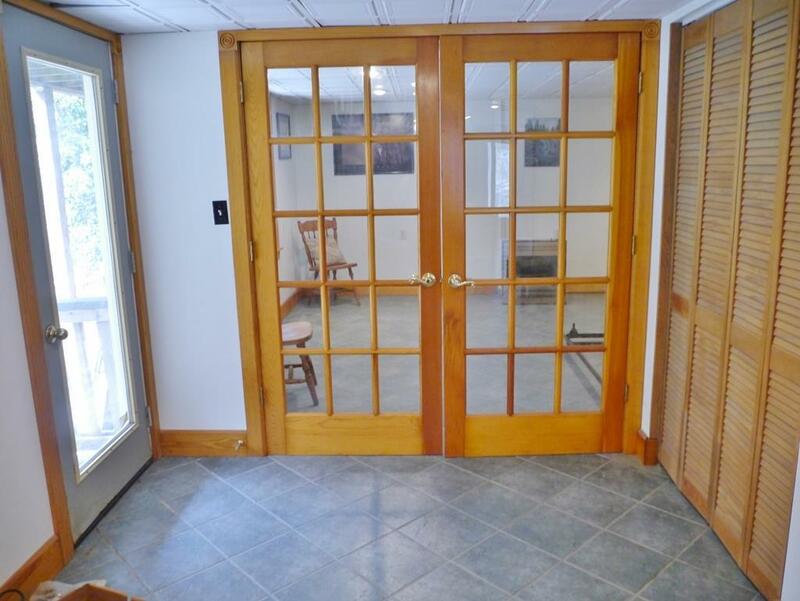 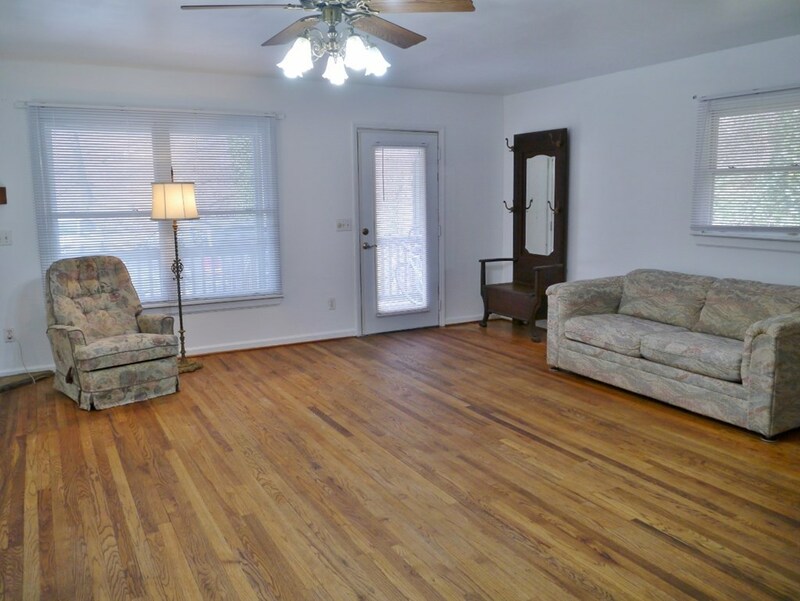 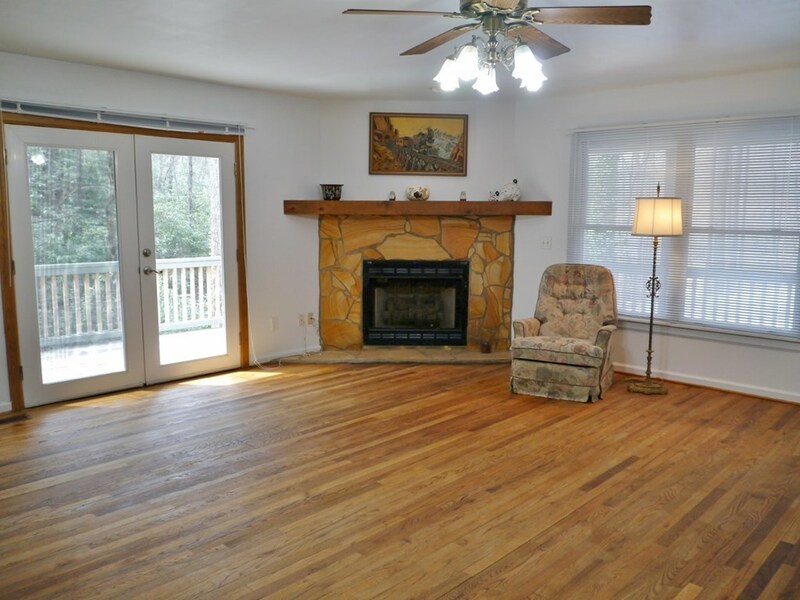 The main living room features hardwood floors, a 2nd gas fireplace & French doors to the veranda. 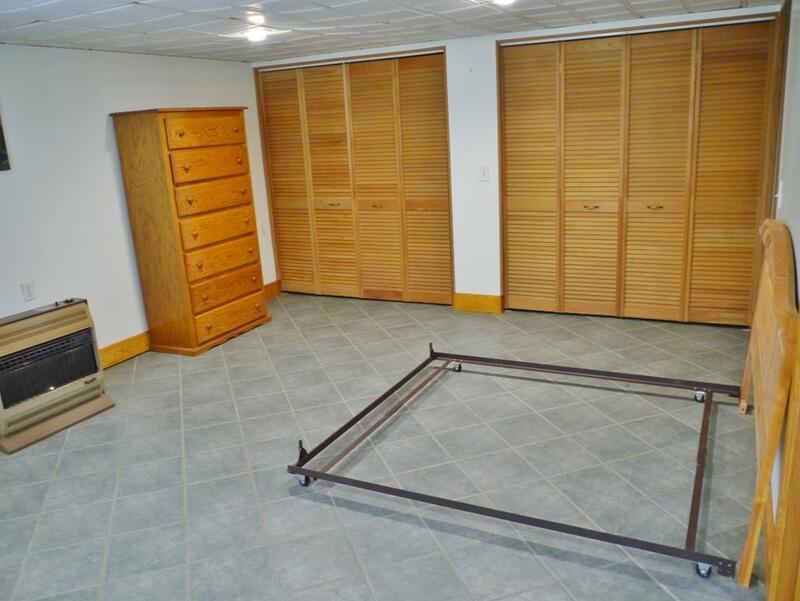 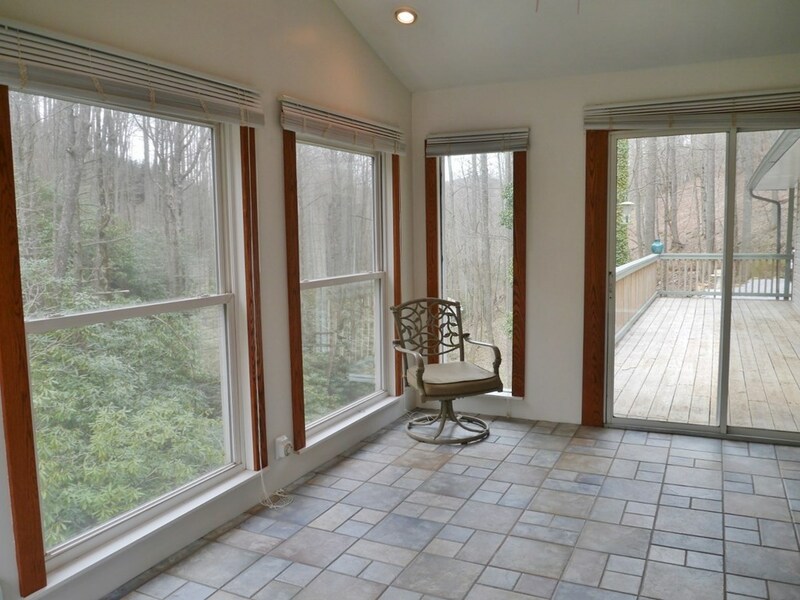 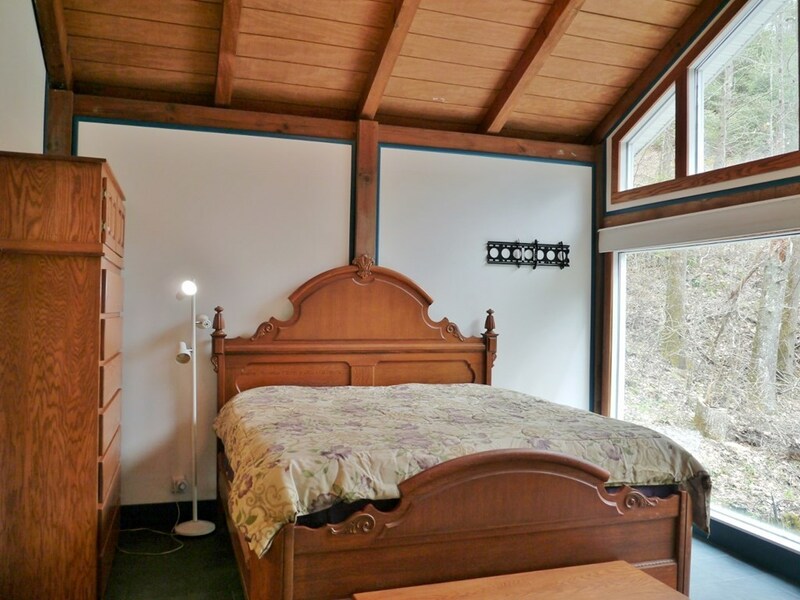 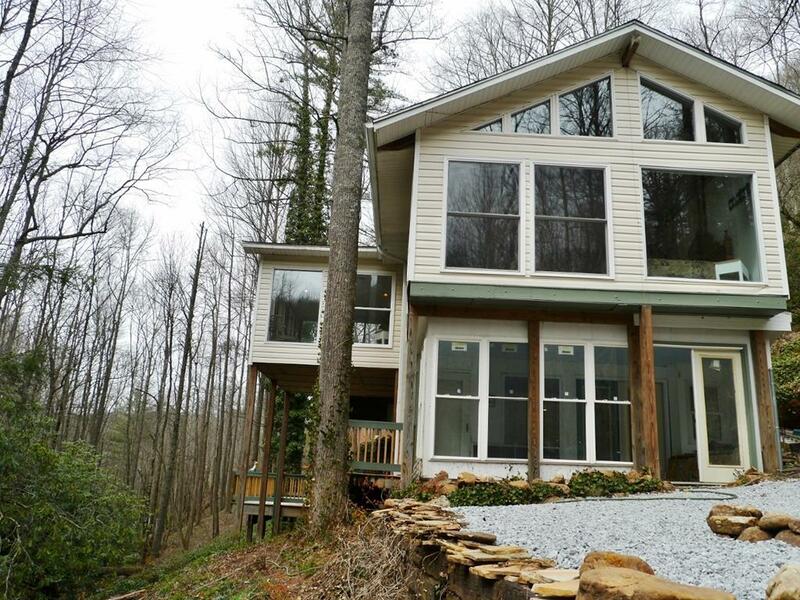 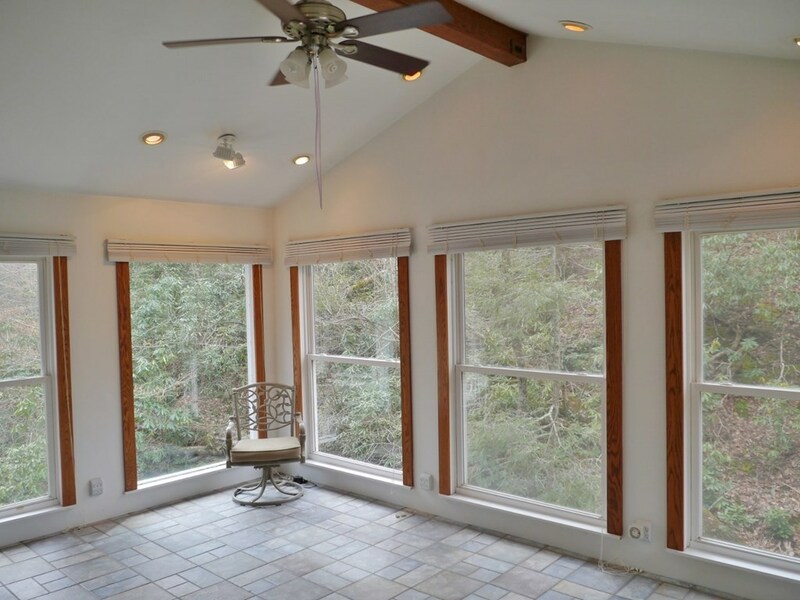 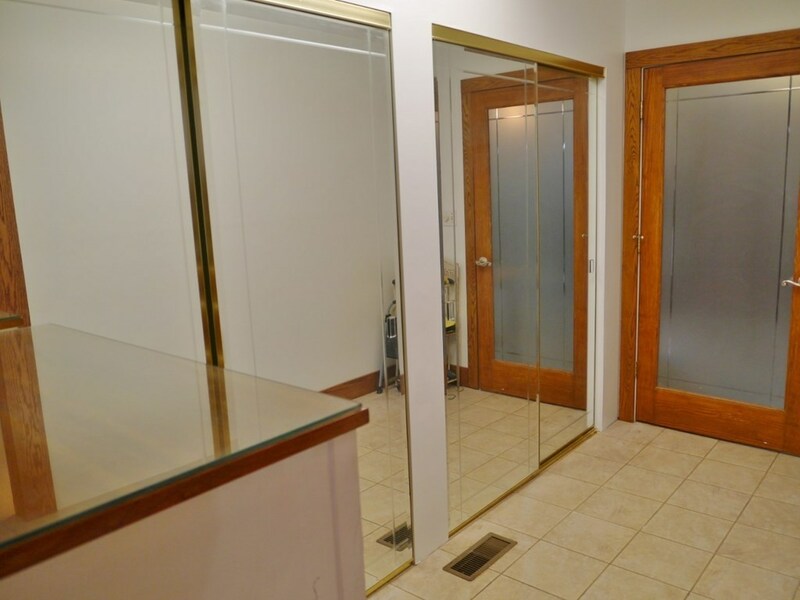 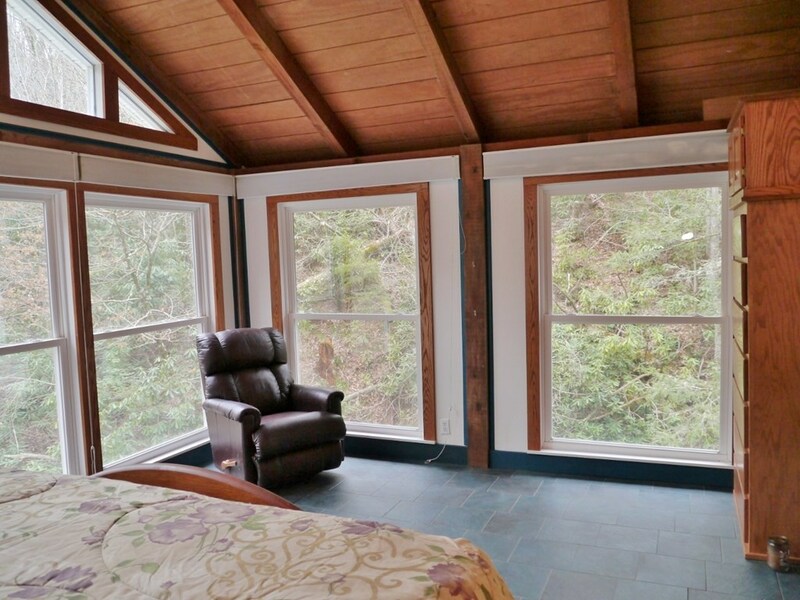 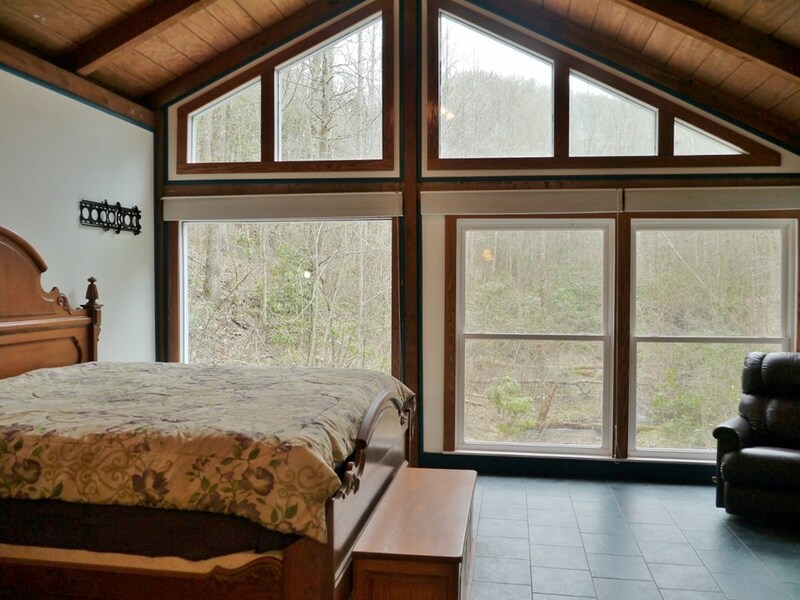 Stunning master suite w/ vaulted ceiling & prime creek view. 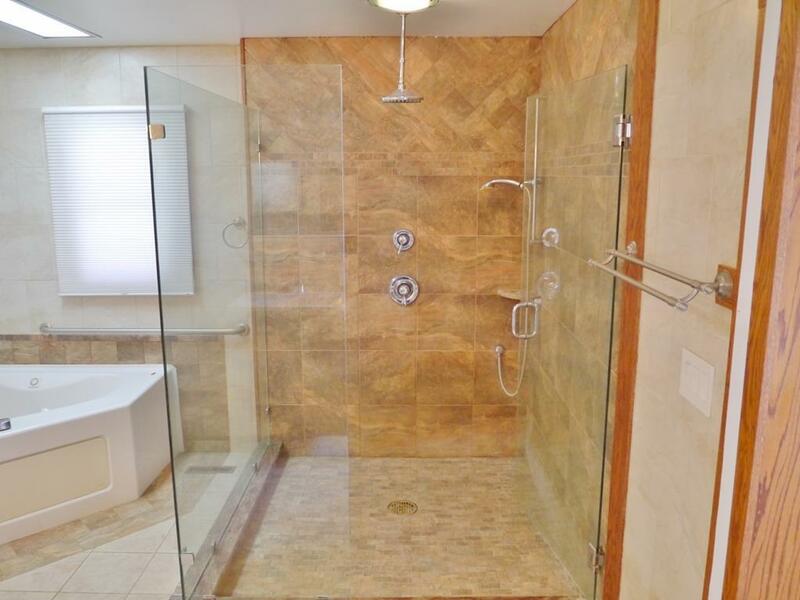 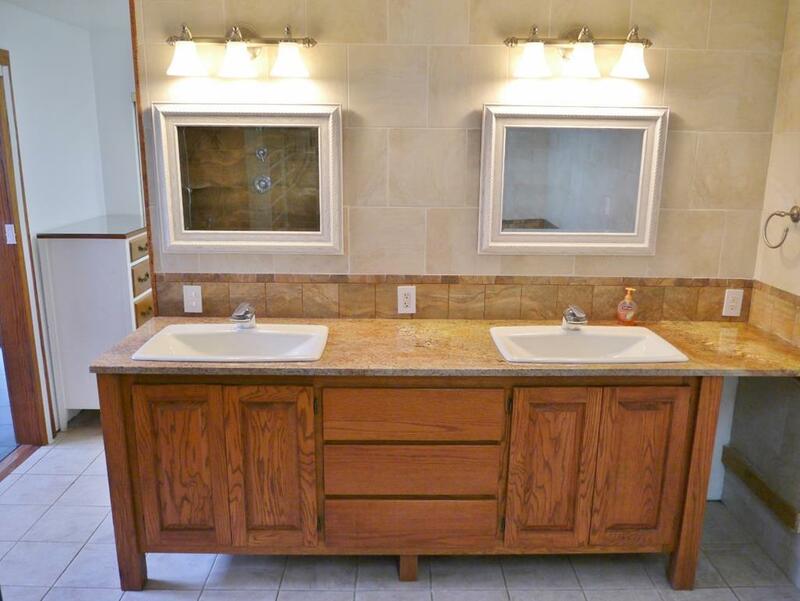 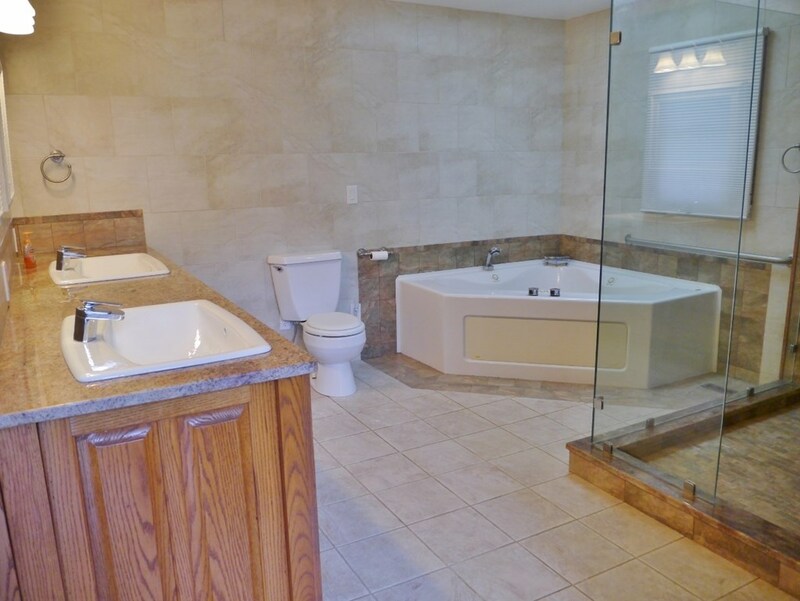 En-suite bath features tiled walk-in shower plus jetted tub, dual sinks w/ granite counters & waterfall spouts plus dual closets in the dressing area. 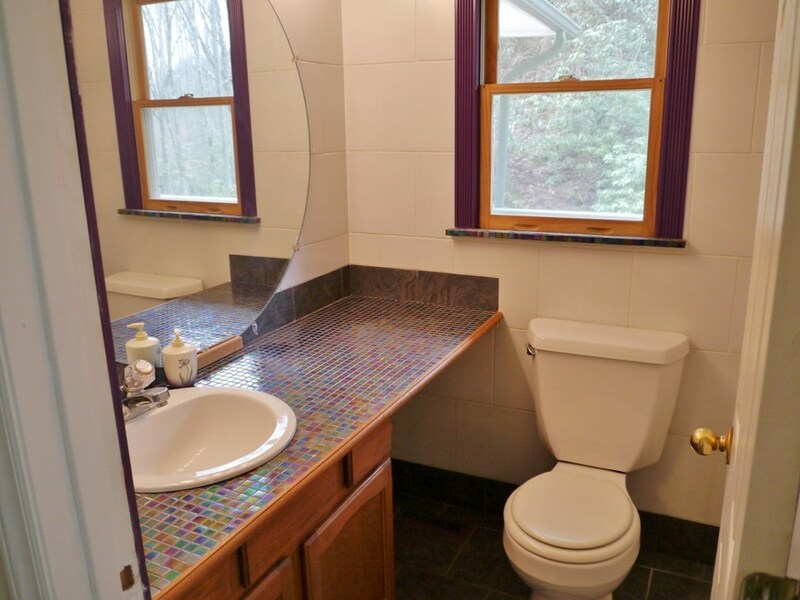 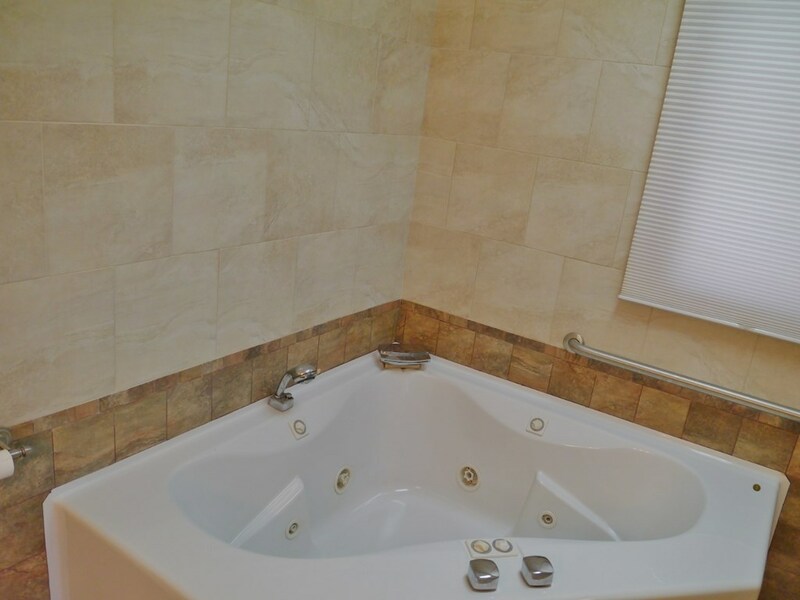 A guest � bath on main level boasts unique tilework. 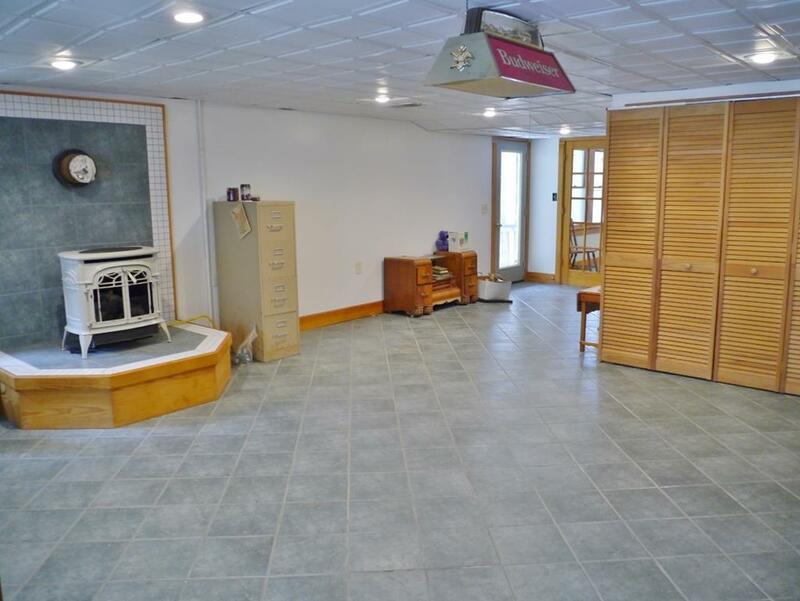 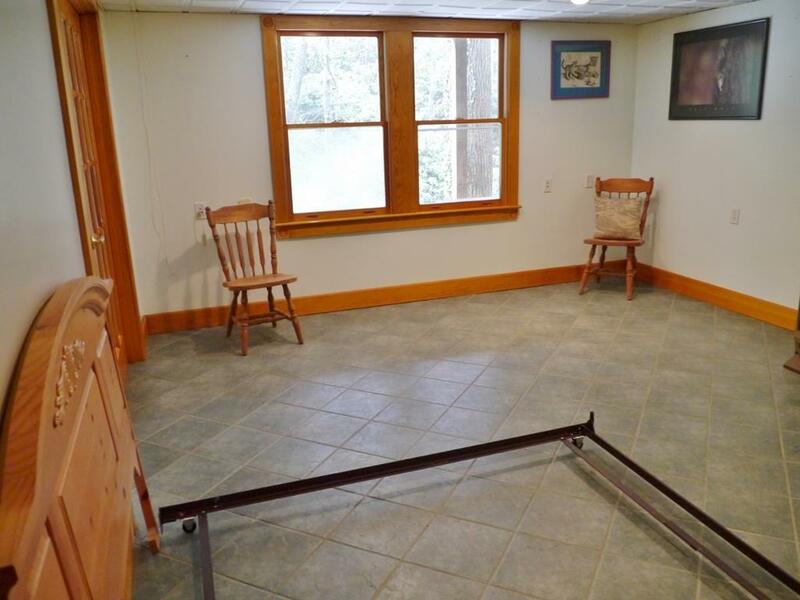 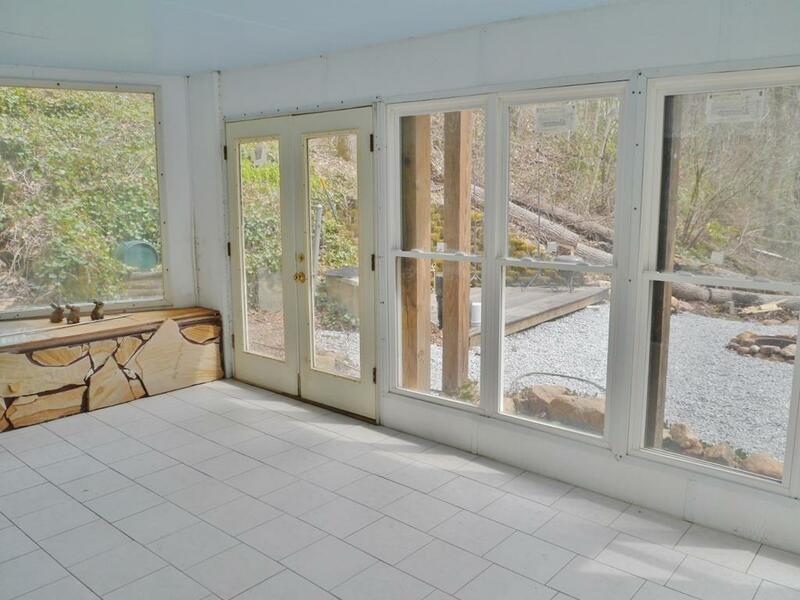 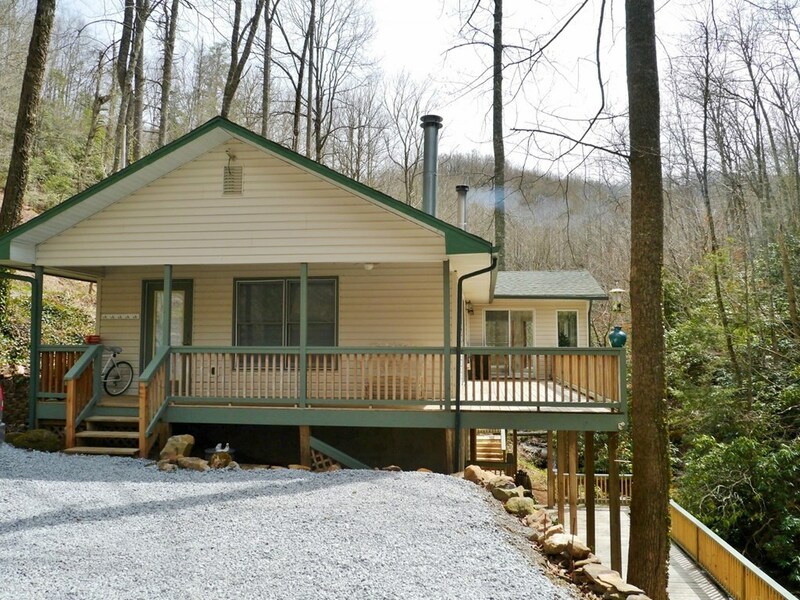 Downstairs you�ll find a family game room w/third gas-log fireplace (Vermont Castings), an abundance of storage, & attached greenhouse. 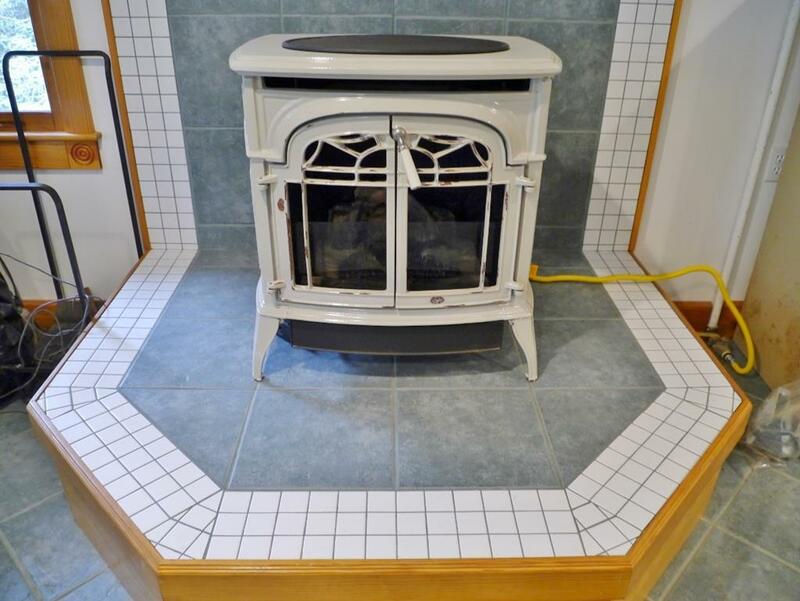 New H/W heater & Washer/Dryer. 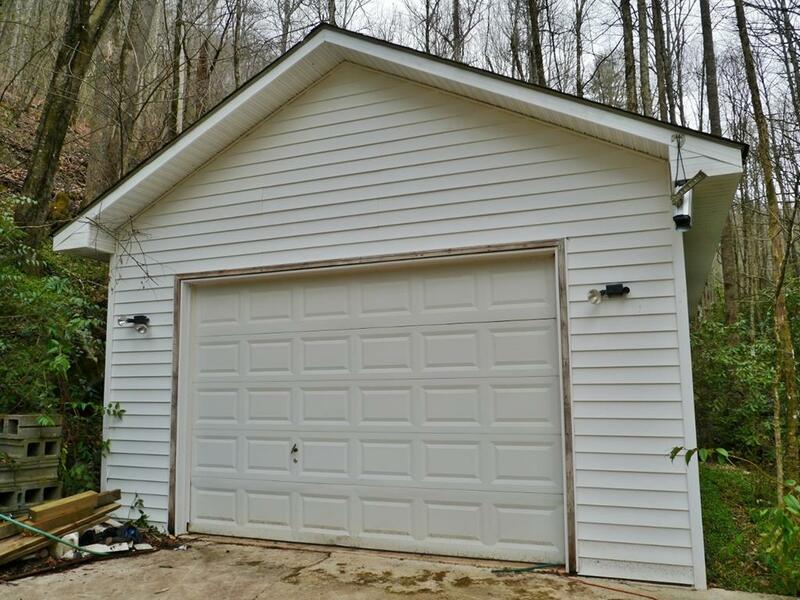 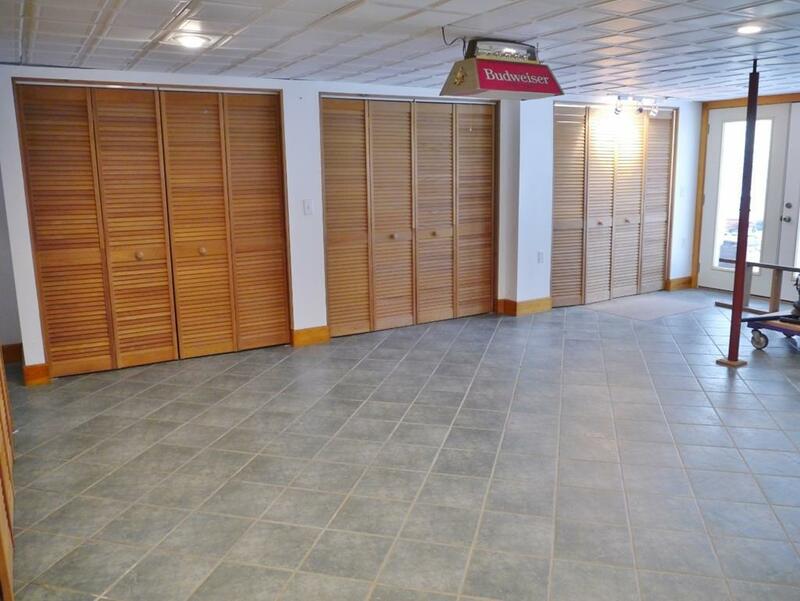 Powered and insulated 2-car garage/WORKSHOP plus 2-story single-car shop. 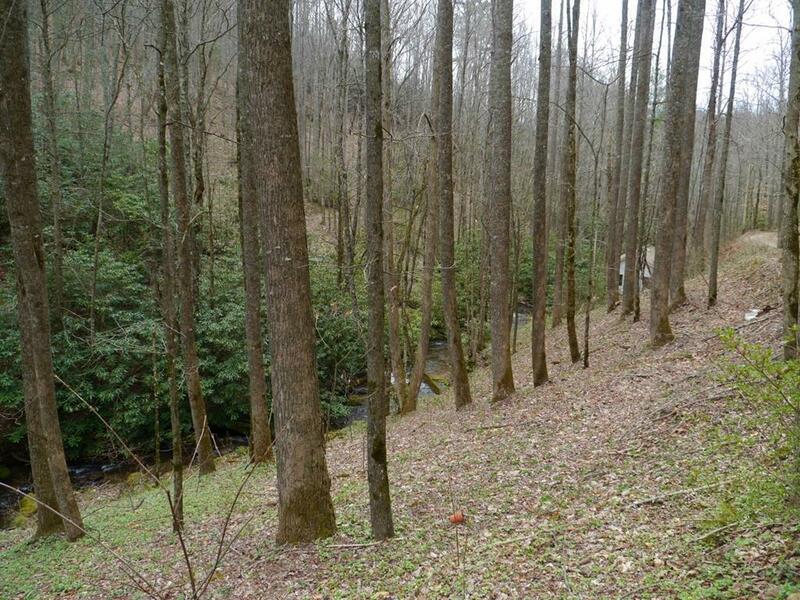 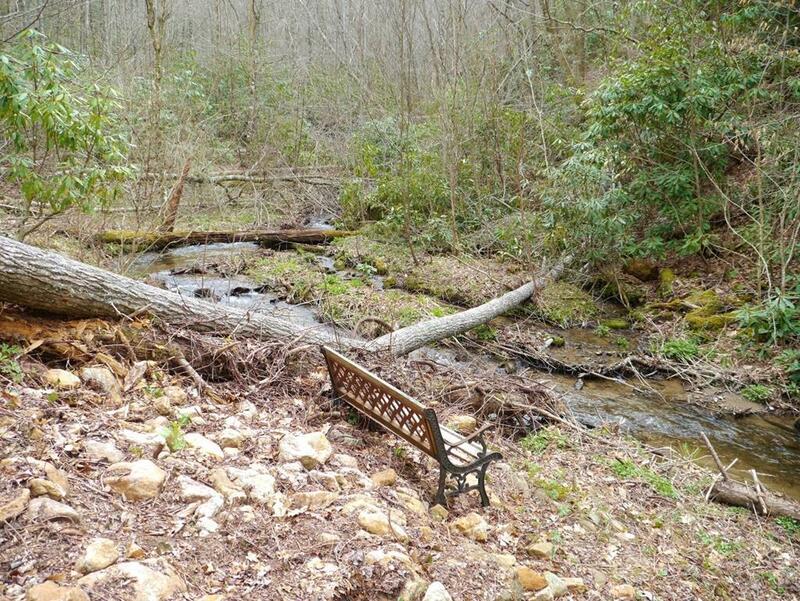 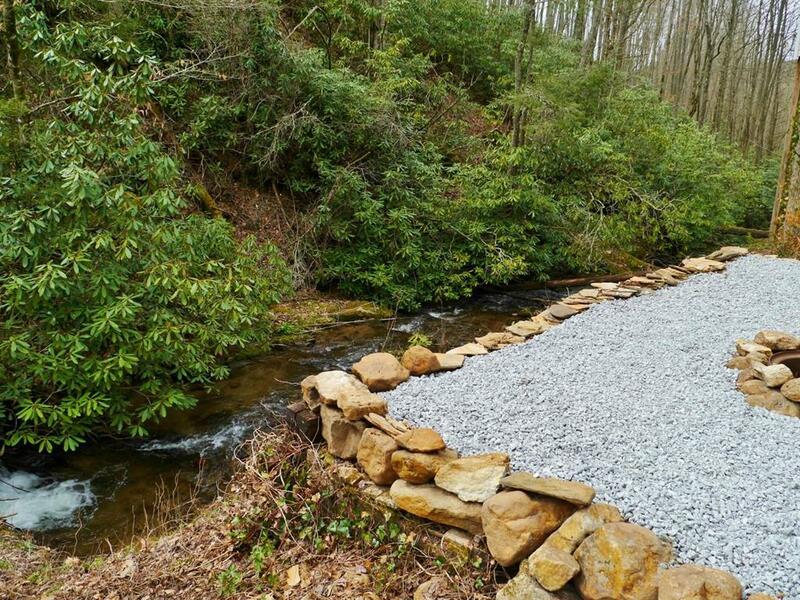 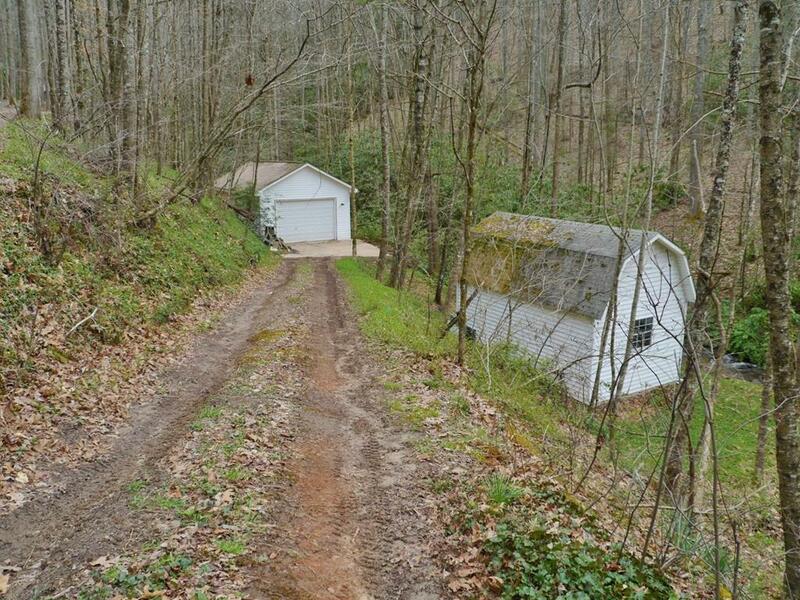 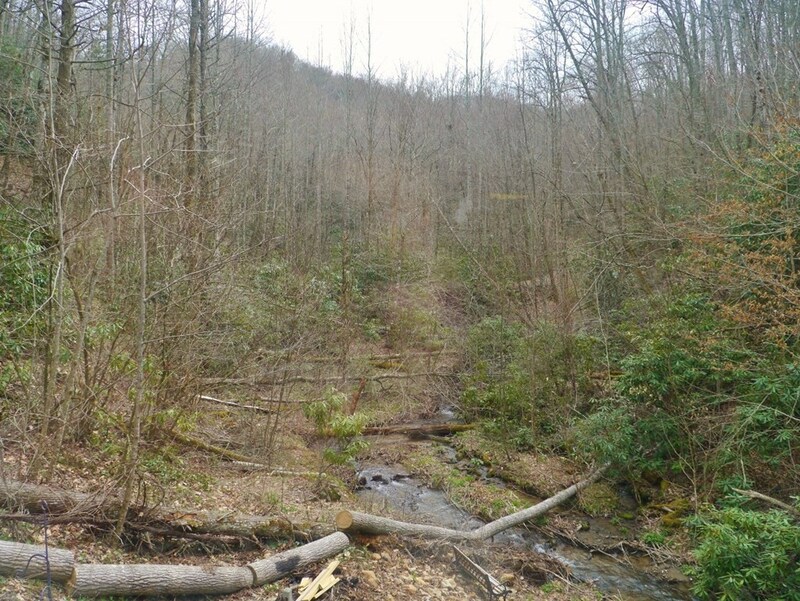 There is a knoll at top of acreage w/ million-dollar view for second homesite. 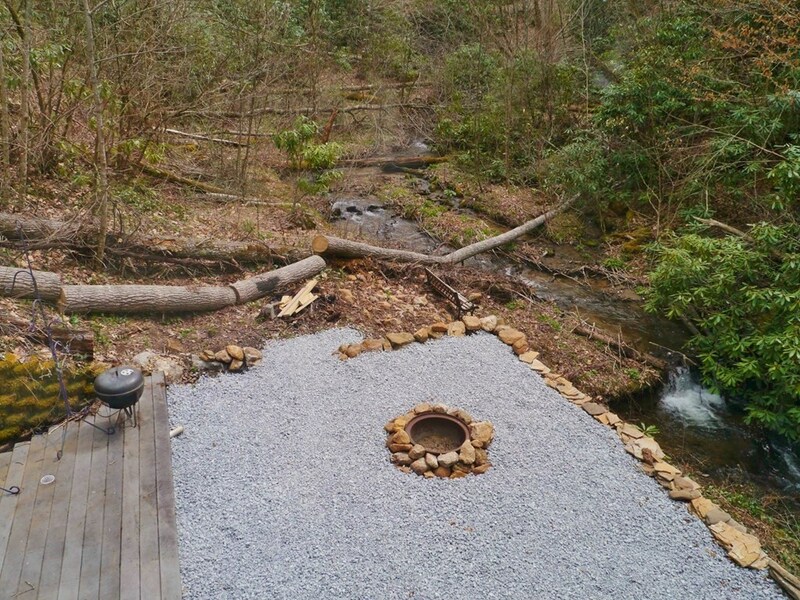 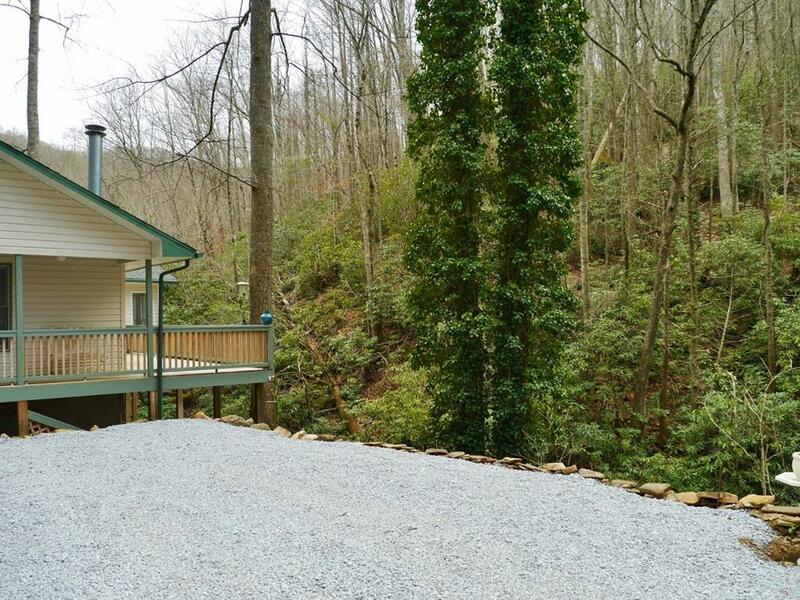 Come to the mountains and gather 'round the firepit!